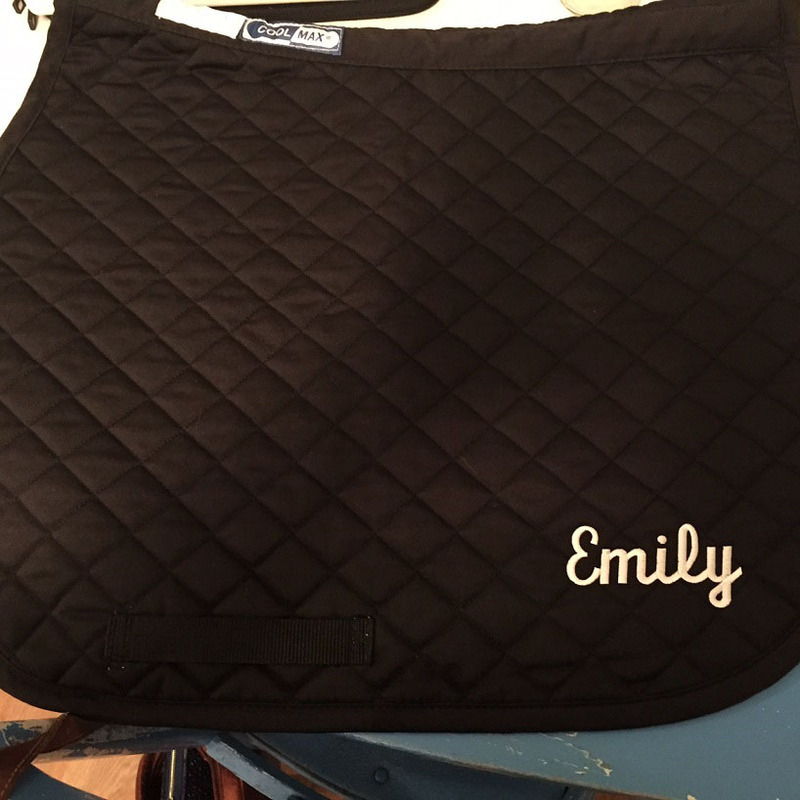 Wilbur, Ellie, & Emily: Coworkers Who "Get It"
I did a little bit of desk coverage while my coworker was on maternity leave and she sent this lovely customized saddle pad as a thank you! Love getting fun treats in the mail and Ellie is going to look fabulous! Ohh pretty! I wish my co-workers bought me pretty saddle pads! Gotta love working at a company with co-workers who get the horse thing! That is so awesome! How sweet!